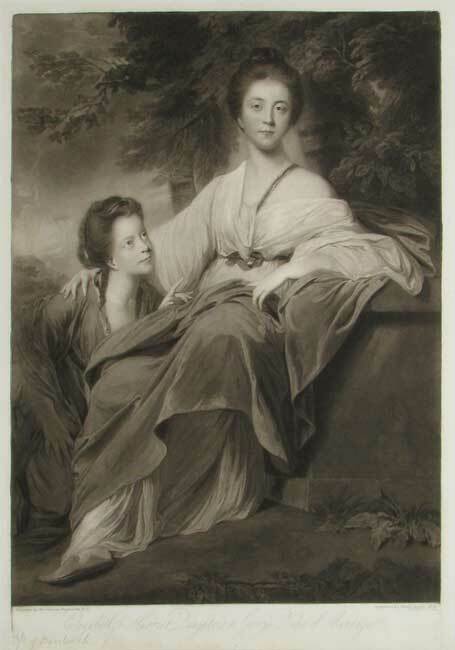 Elizabeth and Harriet Montagu were painted by Reynolds in 1763 when they were 20 and 13 years old respectively. They were considered to be amongst the most beautiful girls of their generation and are pictured against a classical rural landscape. Henry Meyer (1780s-1847) was a talented artist who unusually excelled at both painting and engraving and left a legacy of both. He was the nephew of the famous portrait painter John Hoppner and also studied under Francesco Bartolozzi. He exhibited at The Royal Academy but more significantly went on to become President of the Society of British Artists.